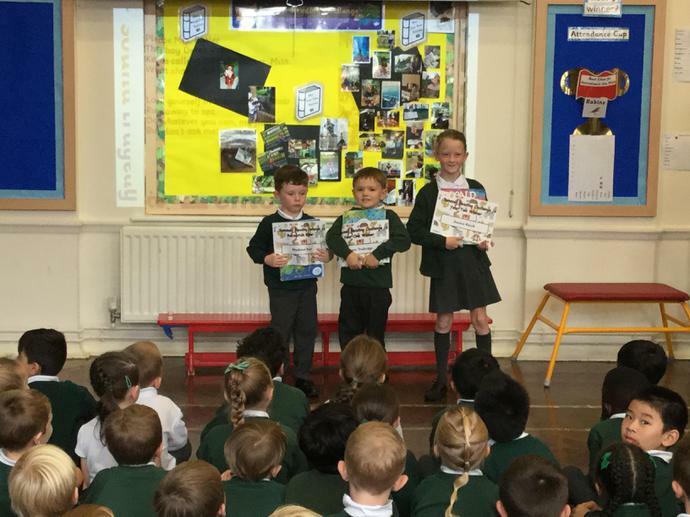 The children have celebrated National Poetry Day today with an assembly on famous children's poets and taken part in poetry lessons across the week to read and write different forms of poetry. Mrs Morris had the task this morning of choosing the Summer Reading Challenge winners in each year group. Thank you to all the families who got involved and entered the competition. Our three smiling winners will be taking home their prizes and certificates tonight to read and share!